It’s a surprise to many when they learn that their grid-connected solar panels can _not_ keep the lights on during a power outage. This was a lesson the Northeast US learned the hard way during Sandy, the 2012 superstorm that knocked out power to 8 million people. Two weeks or more without electricity, solar panel owners were venting to the media. Few realized that absent a battery and advanced inverter, their solar homes would go dark. Four years later, the misunderstanding persists. Homeowners, communities and businesses still install solar panels — sometimes making large capital investments — under the false presumption that solar will keep the lights on when the grid fails. Most of the solar panels in the U.S. function through a grid connection. The grid goes down and so do they. Why don’t more people know this? The problem is partially due to semantics. Many people do not yet understand the difference between solar and a solar microgrid. They tend to use the words interchangeably, describing the panels on their homes, businesses or community buildings as microgrids when in fact they do not have microgrid capabilities. What is the difference? Both generate power with solar, but a solar microgrid also can island from the grid, a crucial ability. Envision a storm where trees and branches are knocking down power lines. The electricity goes out in one neighborhood, then the next, then the next. Interconnected to the grid, the solar panels stop working too. 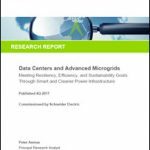 Most advanced microgrids are grid-connected too. But when their control software senses the disruption coming, they can disconnect and rely on their own solar and other distributed energy resources. So even when those around them are in the dark, microgrid customers have power. In simplest terms, solar offers green energy; solar microgrids offer green energy plus electric reliability. As if there is not enough confusion about solar versus solar microgrids, now two new terms have entered energy’s vocabulary: community solar and community microgrids. The two offer real – but very different — benefits. And again the terms are sometimes interchanged in popular speech. Community solar is a green energy play, designed largely for those who cannot put solar panels on their roofs for one reason or another. They may rent, or perhaps their roofs are shaded or otherwise insufficient for solar panels. Ownership models vary for community solar. (See graphic below.) But generally a community solar project involves a developer who builds the project and homeowners or local businesses who pay to share the benefits of the project. The homes or businesses are not physically connected to the project, so they do not receive its energy. (That’s sent into the utility grid. )Instead they receive financial benefits, often in the form of lower utility bills. Community microgrids, on the other hand, are designed to serve a public purpose, typically guaranteeing power for critical services in a storm or emergency. Often they are centered around hospitals, emergency centers, police departments, grocery stores, banks and the like. How about a community solar microgrid? Chiesa raises the intriguing idea of making community solar installations into microgrids. “It’s a fantastic thing when there is already a solar field present and you can then build your microgrid around that because it really lowers the overall cost. 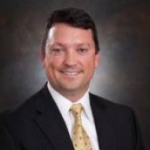 Typically, the largest cost incurred in the microgrid is the distributed energy resources,” he said. There are some complications, however, in starting with community solar and then transitioning to a microgrid. The problems are not technical, according to Chiesa. Instead they have to do with pairing the two business models. 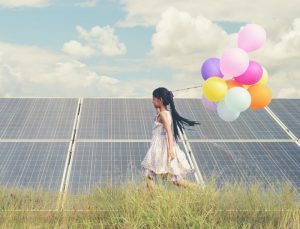 For example, those participating in the community solar project may not necessarily be connected to the microgrid. When an outage occurs, the microgrid would co-opt energy from the solar field to ensure reliability to the hospitals, police stations, water treatment facilities or other buildings that are part of the microgrid. So an agreement would need to be in place with the community solar participants that allows the microgrid to use the solar power in an emergency. It’s also not clear how those who own the community solar project would get paid when the solar farm goes into microgrid mode, since the normal solar revenue streams (such as net metering) no longer apply. A solution is to start thinking ‘microgrid’ before the community solar project is installed. When a solar developer applies to build a project, local jurisdictions that are forward-thinking might consider requiring that the community solar will have the abilitiy to go into microgrid mode. They might include the requirement within contract clauses in leases or other legal agreements. Community solar and community microgrids are new, but posed for rapid growth. Navigant Research forecasts that total installed capacity from community solar programs across the country will reach 1.5 GW by 2020, then grow fourfold from 2020 to 2025. Meanwhile, GTM Research pegs the U.S. microgrid market at just over $550 million and expects it to exceed $1.3 billion in four years. So marrying them would bolster two fast-growing and valuable models that together could green the grid and increase its electric reliability. Bottom line? If you’re talking to a solar installer, and you want not just clean, but also reliable energy, ask the question: Is this a microgrid? And if not, how can we make it one? 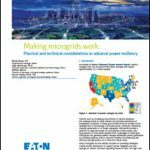 Read more articles like this, free of charge, by subscribing to the Microgrid Knowledge newsletter. This is an excellent treatment of the subject. The Stone Edge Farm MicoGrid Project is finding that there are some very difficult barriers for microgrids to overcome. Currently, in California, there is no NEM type of agreement or regulatory guidelines to allow a microgrid to be connected to the utility grid. There are other barriers for a “connected” microgrid to operate and provide ancillary services such as those envisioned by CAISO, namely a lack of regulations governing issues of safety connecting to the distribution system, utility franchise agreements with counties and municipalities, and possibly a type of microgrid feed in tariff. The technology is challenging but can be overcome. The bigger challenge for microgrids is being behind the meter. We are working on some designs to implement solar microgrids in locations powered by diesel generators. Challenges with diesel generators are several and very critical. If the DG set operates at below the optimum efficiency, diesel consumption increases and that could overshadow the benefits of solar panels. To mitigate this risk, we are planning to size up solar capacity in such a way that extra generation during peak hours can be stored in battery bank with 4hour battery backup. The Extra power can then be utilised to compensate for the solar deficits​ during morning and evening. This arrangement totally eliminates the need of Diesel generator at least for the day time. Since storage is still costly, our clients will keep using Diesel generator for the night time operations, until some better options are available. I am more than surprised to learn that people still exists even in the states who think a GT solar will power their homes in the event of blackout. 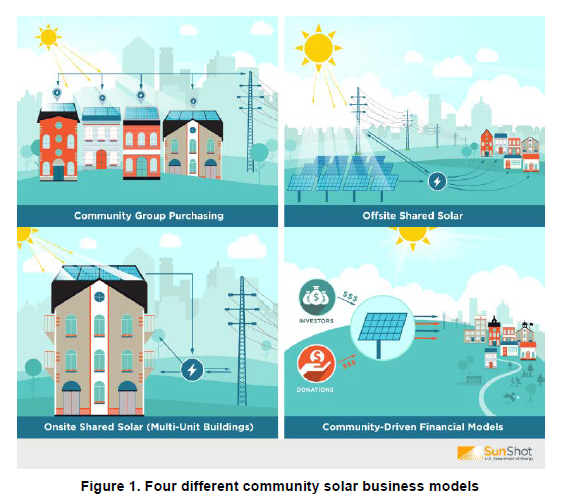 #CommunitySolar #microgrid systems are creating a consumer #changeforthefuture energy distribution sweetspot. #BigGrid consumer tied solar anti-islanding health and safety program decision making complexites are beyond a simple manual switch. Community hybrid #MicroGrid solutions stand as lone #VillageEmpowerment distribution wires driving @SE4ALL #EconomicEmpowerment. Thanks for such a detailed article. Obliged.